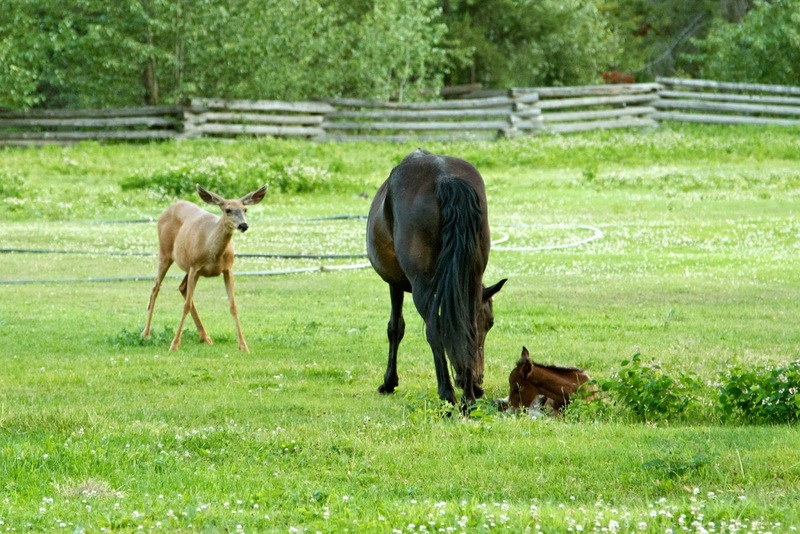 Here at Chilcotin Holidays Guest Ranch we have been lucky enough to have a newcomer, he is not our typical guest, in fact he is here to stay. One of our wild mares, Cheyenne, has given birth to a foal. He is an inquisitive type and despite having his mother making sure he is always at close distance you can tell that even at this young age the new foal is exited and interested in the world around him. 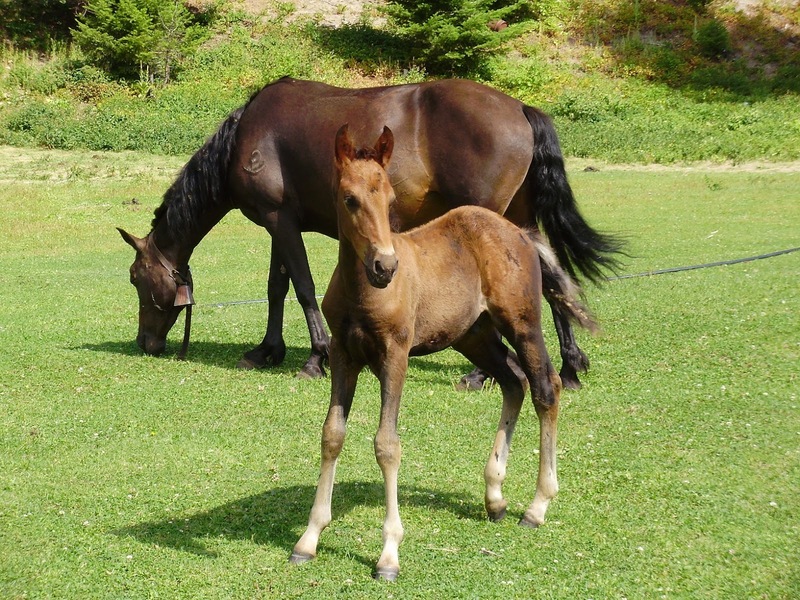 We have recently posed a poll on our facebook page in order to give past and future guests the opportunity to name the foal. Currently between the facebook users that have commented, the four favourite names are Cherokee, Cinnamon, Jazz and Wildfire. "He looks like a wildfire, and his mother seemed to be a bit wild too. When we were there in June, our little boy Vagn (almost 3 years old now) liked the 'mommie' horse because she would stay all by herself with her foal by her side away from the other horses. 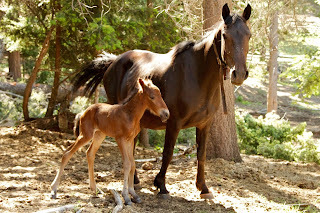 Visit our facebook page for any updates on the foal and from the Guest ranch at Chilcotin Holidays. 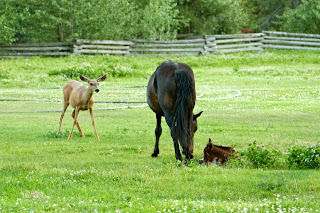 Here are some images of the foal and his mother together at the ranch.